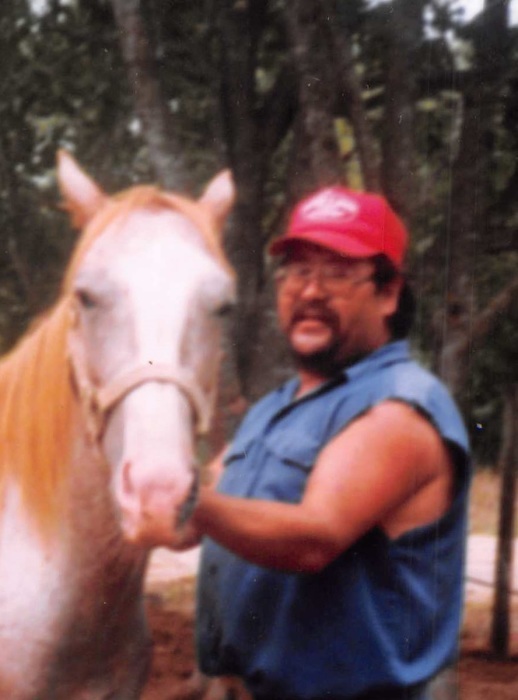 Romaldo “Mayo” Vela, 55, of Yorktown, passed away Friday January 18, 2019. He was born April 23, 1963 in Yorktown to the late Henry and Tomasita Esparaza Vela. Mayo worked many years for Podsim Meat Market. He is survived by his sisters RoseAnn Vela, Stella Myers, Maricela Vela, Miquela Dennison, Esther Vela, Corina Vela, Christina Davidson, Erminia Vela, brothers Rosendo and Ralph Vela. 15 nieces and nephews and 5 ½ great nieces and nephews. He was preceded in death by his parents, maternal and paternal grandparents and nephew Eric Mendez. Pallbearers are Rosendo Vela, Brandon Rios, Dean Matthews, John Myers, Javier Vela, and Michael Hattenbach. Visitation will be 5-7 pm Monday January 21, 2019 with a rosary starting at 7 pm at Massey Funeral Home. Graveside services will be 10 am Tuesday January 22, 2019 at Yorktown Community Cemetery.